Well guys, as most of you know, we switched our Lucy girl over to Wellness® Complete Health™ dog food about a month ago, and so far, the change has been fantastic! I swear, I really never knew the changes that going grain free would make for my pup! The great thing about switching to Wellness Complete food, is that there really is an option for everyone. 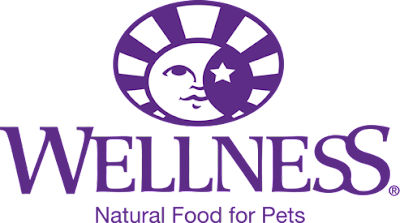 No matter what your dog's preference, or your budget, there is a Wellness option for you! Plus, add to that the fact that Wellness is sold at PetSmart, where I am already doing my normal pet shopping, and it's a win/win situation! 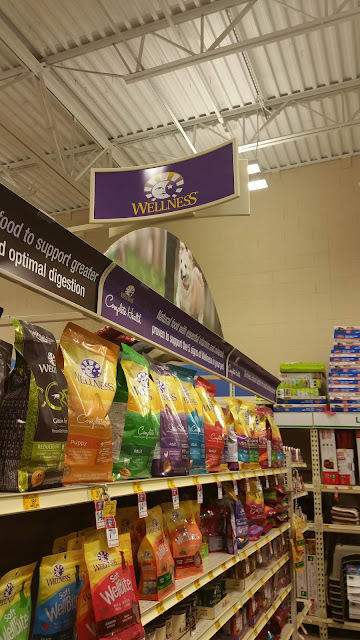 The decision for our family to switch over to a food like Wellness was an easy one, after we researched all of the benefits and checked out the huge selection that PetSmart has to offer. They have different flavors, and different specific formulas depending on breed, size, or age of your pet. For example, special formulas for small or large breed dogs, or for adult dogs or puppies. I never really knew much about what I was feeding my dog until I really started to do my research. Now I know how important it is to choose a brand (such as Wellness) that uses high quality proteins like fish or poultry as the first ingredient in their foods. I would have never paid attention to these details before, I just picked a pet food off the shelf, but that is not the case anymore. I have also learned about the importance of healthy fats for skin, coat, and energy, and the need for complex carbs and wholesome grains to provide a source of quick energy for pets. Do you want to make the switch and find out about the Wellness difference for yourself? You can, and to make it even easier, our friends at PetSmart and Wellness are offering $5.00 off any 24 lb. bag of Wellness Complete Pet Food at PetSmart!!! Offer expires 11/30/2016, so hurry in to get your savings! Don't forget to follow our friends at Wellness on Facebook, Twitter and Instagram to stay up to date with all the great products they have for your furry friends!